One of the greatest advances in public health over the past hundred years has been the development of vaccines that trigger immunity to a whole host of infectious diseases that formerly produced epidemics that wiped out thousands of people a year. As a result, in most industrialized countries including the United States and Israel, children cannot be admitted to school unless they have received inoculations against a whole host of diseases. Most parents comply with these requirements with no questions asked. However, some parents do not and their numbers are growing. The reasons for noncompliance vary. Some parents are simply careless and inattentive, others harbor deep sinister conspiracy fears about any government-mandated program, but the most common reason is health concern. Over the past several decades some researchers and organizations have advocated the idea that vaccinations are actually dangerous to children, not only making them susceptible to virulent forms of the very disease from which they are supposed to be protected but in some cases causing other devastating conditions such as autism. The internet has spread and magnified these fears, and many parents have responded accordingly. The overwhelming consensus of medical research worldwide is that these fears are groundless. Indeed, the researcher who advocated the vaccination/autism link has been censured for intentional fraud in the presentation of his data and has actually lost his license to practice medicine. It is safe to say that most vaccinations do not have any significant negative effects on children other than temporary pain and swelling which can be avoided by a skillful nurse. The question is, are vaccinations halachically mandatory? To fully understand this question, a bit more factual background is necessary. In a world without vaccinations, it is clear that many children would suffer polio, meningitis, rubella, whooping cough, various forms of hepatitis, debilitating conditions that formerly resulted in death, brain damage, paralysis and other severe disabilities. As a result of widespread vaccinations many of these diseases are virtually extinct. Children have developed immunities and children who would have been infected escape unharmed. It is fairly obvious that a world with vaccinations is safer than a world without them. However, it is less obvious that an individual child who is vaccinated is tangibly benefitting. If a non-vaccinated child is in a population of vaccinated children it is highly unlikely that he will be exposed to the disease since these diseases are predominantly spread by human carriers, of which there are none (other than the non-vaccinated child himself!). As such, the argument can be made that as long as everyone else vaccinates their children, my child is safe no matter what I do. In economics, this is known as the “free rider” phenomenon. In epidemiology, it is “herd immunity”. Where the percentage of vaccinated persons reaches a certain level, the risks to the non-vaccinated population sharply drop as well. (To achieve herd immunity the vaccination rate must be at least 75-90% - depending on the disease and its virulence). Nevertheless, even in a herd immunity scenario a vaccinated child faces less risk than a non-vaccinated one. It is important to note that failure to vaccinate a child may not only create risks for the child but, by enabling him to be the carrier and transmitter of an infectious disease may put other children at risk, including children who themselves have been vaccinated. One might well wonder how this can be so since vaccination presumably creates immunity; but the answer is that even the best quality vaccinations have a certain percentage rate of failure due either to product defect or the individual body’s idiosyncratic response. As such, enlarging the pool of available carriers can actually endanger even vaccinated children. Thus, whatever authority parents may have to make decisions for their children surely cannot justify placing other people’s children at risk. There are two related halachic principles that on their face would make vaccination mandatory. The first is that is forbidden for a Jew to place his life or health in unreasonable danger. The Talmud and the Codes mention a wide variety of activities that must be curtailed or avoided. These include 1) putting one’s mouth directly on a pipe in order to drink water; 2) drinking water drawn from a river at night when one is unable to inspect for parasites; 3) drinking liquids that have been left exposed and unattended where there is a possibility, albeit remote, that a snake may have deposited venom; 4) eating food that might be tainted or poisoned etc. It is similarly forbidden to wound or injure oneself. See Rambam,Hilchot Rotzeach, chapters 11-12 and Shulchan Aruch Choshen Mishpat, chapter 426. In a classic article Rabbi Shlomo Yosef Zevin discusses the halachic enforceability of Shylock’s agreement with Antonio in The Merchant of Venice. It will be recalled that Shylock stipulates that if Antonio does not pay his debt on time Shylock will be entitled to a pound of Antonio’s flesh. Rabbi Zevin demonstrates that such a clause would be absolutely unenforceable under Jewish law because (quoting Rabbi Shneur Zalman of Liadi, the ‘Alter Rebbe’) “our bodies are not our own; they are the property of HaKadosh Baruch Hu.” In effect, the Torah teaches us that our bodies are not our own property but belong to G-d to be used in His service and to be protected and preserved until such time as He chooses to reclaim it. This is in sharp contrast to modern medical ethics and political theory which posit autonomy and self-determination as supreme values, and enshrine the attitude that “it is my body and I can do with it what I will” — including reckless endangerment. It is of course obvious that if I do not have the right to endanger myself, I certainly do not have the right to endanger my children. The second focuses on the duty that is owed to others. Just as we are commanded to preserve and protect our own lives, we are similarly commanded to remove impediments or stumbling blocks that cause dangers to others. This is derived from the mitzvah of erecting fences around flat roofs so that people who climb the roof should not fall down. Moreover, even if I am not the source of the danger I have a duty to do what I can to rescue someone from whatever peril they may be in, such as rescue someone from drowning etc. “Do not stand by idly over your friend’s blood” (Leviticus 19:16). Thus, we have duties owed to G-d not to expose ourselves, our children or others to hazards, risks or dangers. Since failure to vaccinate endangers both my children and the children of others, both obligations would lead to same result - a duty to minimize danger. The matter becomes more complicated, however, when we consider the obvious fact that halacha certainly does not intend to compel the avoidance of any potential danger. If that would be true we would not be allowed to fly on an airplane, drive a car, take a bus or even cross the street (particularly in Jerusalem!). Everything we do contains some element of risk and yet the Torah does not require that we become hermits permanently ensconced in our homes (and even that would not be totally safe). The laws against danger become triggered only when the dangers to be avoided are unreasonable, excessive and unnecessary for ordinary life. Behaviors must reach a certain magnitude of risk before they become prohibited. When that threshold is crossed is not precisely defined. From the very examples Chazal gave, such as not drinking from uncovered water because of snake venom, it might be inferred that even risks that are highly unlikely must be avoided, and indeed Rabbi Moshe Feinstein so concluded, Yet it might be argued that some of these rules represent discrete rabbinic legislation for specific problems and are not necessarily suggestive of a general principle. After all, it is not prohibited to drive, even though the risk of an accident is probably higher than the risk of snake venom in liquid. This is the crux of the vaccination question. Given the empirical reality that the vast majority of the school population does vaccinate, producing the phenomenon of ‘herd immunity’, the particular risk to any given unvaccinated child is relatively small. While the risk is indeed much greater than it would be for the vaccinated child, in absolute terms it is still small. This of course would change if more parents did not vaccinate, but as long as the system functions at a 90%-plus compliance rate the increase in risk for the 10% may be halachically insignificant. Indeed, it is reported that Rabbi Shlomo Zalman Auerbach ruled, precisely for this reason, that parents do not have a halachic obligation to vaccinate their children as long as a large majority of the population is doing so. (See Nishmat Avraham C.M. 427:3; 5). It must be noted, however, that even Rabbi Auerbach considered such vaccination as prudent and proper preventive care and urged physicians to persuade their patients to comply. While he was not willing to rule that vaccination was an absolute obligation, he did characterize it as a highly desirable course of action. Moreover, it is quite possible that Rabbi Auerbach would support the right of a school or parent body to exclude a non-vaccinated student because of the risks he poses to others. The halachic permissibility of imposing small risks on myself and my family may not justify my imposing them on others. A second and stricter approach was taken by Rabbi Yosef Shalom Elyashiv. His basic analysis is that risks are characterized as “reasonable and permitted” or “unreasonable and forbidden” based on society’s general assessment of what is deemed responsible behavior. An activity that is considered normal and acceptable by a majority of people is deemed to be safe notwithstanding a certain level of risk. This would include activities like driving, flying or crossing the street (although even here there may be some objective level of danger that may be so high that it would not be justified no matter how many people did it!). By contrast, activities or behaviors that society labels as irresponsible, reckless and dangerous definitionally become such even when the absolute risk level is relatively low. Since vaccinations are commonly accepted as a normal standard precautionary measure, one who fails to take such a measure is recklessly endangering his children and others. Such precautions become mandatory — not just recommended — because society as a whole considers them necessary. Rabbi Akiva Tatz MD summarizes this ruling well: [According to Rabbi Elyashiv] “failure to immunize would amount to negligence…refusing childhood immunizations on the basis of unsubstantiated fears of vaccine side-effects is irresponsible…the danger of precipitating epidemics of measles, poliomyelitis and other diseases with potentially devastating complications is far more real than the dangers attributed to vaccines on the basis of anecdotal claims. Until objective evidence to the contrary accrues, the halachically correct approach is to do what is normal.” (Tatz, Dangerous Disease and Dangerous Therapy, p.48). In a subsequent addendum Rabbi Elyashiv stated that parents of vaccinated students have the absolute right to insist that all other classmates be vaccinated in order to minimize the risks to their own children due to vaccination failure. As noted, Rabbi Auerbach may well have agreed. 1) Both agree that parents should be encouraged to vaccinate their children because the benefits far outweigh the risks. 2) Both agree that schools and parents of vaccinated children can legitimately exclude non-vaccinated children from the classroom to minimize the dangers to their own children. 3) They disagree on whether vaccination is an absolute parental obligation (Rabbi Elyashiv) or “merely” a highly desirable thing to do (Rabbi Auerbach). From the perspective of a Jew who seeks to do the will of G-d, both positions will lead to the same result. Due to the discovery of the polio virus in some sewage found in Ashdod and Beer Sheva the Israeli government has implemented a nationwide polio booster program, inoculating children with a live attenuated virus delivered orally. 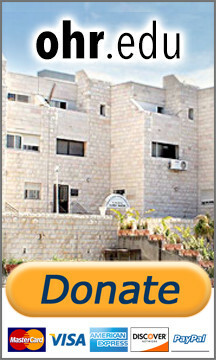 This program has been challenged in the Israeli Supreme Court and a decision is expected shortly. Unfortunately, the complexities of the program are such that one cannot issue any halachic opinion without a more definitive resolution of the medical issues. First, the use of live virus rather than dead strain carries distinct dangers and risks. That is why Israel discontinued the use of live virus in 2005. Second, the purpose of the program is not to benefit the inoculated children who have already received regular polio shots of dead virus, but to provide protection to non-inoculated adults through a complicated mechanism of the live attenuated virus spreading to these people and giving them the equivalent of a vaccine. Using children as protective shields for adults raises issues beyond the scope of this article. A number of years ago, an adolescent boy in Israel needed a kidney transplant. The only compatible donor was a sibling who had not reached the age of 13 and was therefore a minor. The sibling desired to donate a kidney and the parents were obviously in agreement as well. Notwithstanding the fact that the child could survive with one kidney the halachic ruling was that a minor cannot be an organ donor even voluntarily. Since donation of a kidney puts the donor at increased risk for renal failure it requires informed consent, which a minor is not halachically or legally capable of granting. Nor will parental consent suffice. While parents undoubtedly have authority to make medical decisions based on the best interests of the child, they cannot impose risks on one child solely for the benefit of another child. The tragic ending is that the adolescent died. The correctness of this particular decision is debatable - one could after all argue that preserving the life of a sibling is not only a benefit to the recipient but a significant benefit to the donor as well and is in his own best interests - but the principle of the decision is sound: one may not impose risks on children and certainly babies solely for the protection of others. The critical question is whether the oral ingestion of live virus into children who have already received inoculations of dead virus puts them at risk.